"JoAnn Shartrand is very responsive to any questions/issues. The process was quick and smooth. Mediation cost significantly less than traditional divorce. Jo Ann is very knowledgeable of the laws and goes out of her way to accommodate her clients. Highly recommend." Jill H.
"I highly recommend Jo Ann Shartrand. She represented me in my divorce and I am so happy that I chose her. She is intelligent, highly skilled, knows the law, and was very supportive and helpful." Eve G.
"Ms. Shartrand served a mediator in our divorce. As difficult as the process was, she made it very easy to understand the steps, made sound recommendations, and guided us through it in an unbaised, compassionate, and professional manner. I would highly recommend Ms. Shartrand." David D.
"Jo Ann was clearly experienced and knew exactly what she was doing, while also being a pleasure to work with. 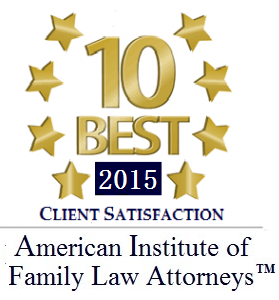 I would gladly recommend her to anyone and everyone in search of a lawyer." Gina H.
"Jo Ann understood the heartbreak I was going through and to her it was much more that just getting paid. I felt she really cared." Lindsay L.
"I have recently been a client of Joanne Shartrand and I am happy to report she is extremely professional, very pleasant and inspired my confidence in what was a difficult time for me." Don D.